Cambridge Communication Systems (CCS) has announced that it is providing backhaul solutions for the Coca-Cola London Eye’s new Wifi service, which enables customers to access high-speed internet and new interactive applications while riding in the popular London observation wheel. CCS’s Metnet 28 GHz self-organising microwave backhaul was selected by O2, which is delivering the Wifi service on behalf of Merlin Entertainments – the largest European entertainments company operating in Europe. 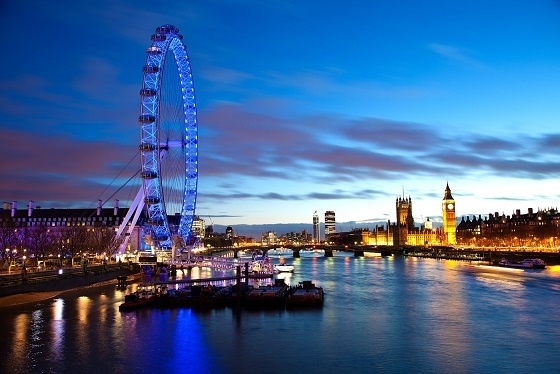 Launched in 2000, Coca-Cola London Eye is the world’s largest cantilevered observation wheel. It has become the UK’s most popular paid-for visitor attraction, with millions boarding it every year to enjoy a spectacular, 360 degree perspective of London. The challenge in getting backhaul connections to the London Eye’s thirty-two closed capsules is that both the capsule and wheel are in the air and in motion, making it impossible to run direct normal fixed infrastructure. CCS Metnet fulfilled O2 Wifi’s key requirements by delivering a high capacity radio system coupled with low latency, while minimising devices and providing a flexible and resilient mesh architecture. CCS rose to the task of installing a 28 GHz fixed mesh onto the moving wheel, creating a design consisting of eight CCS Metnet nodes around the edge of the wheel, connected to sixteen Cisco Wifi Access Points to cover the thirty-two capsules. The eight CCS Nodes with Wifi Access Points connect back to two nodes at the central hub. Two special antenna nodes then connect back down to the jetty nodes with fixed connections to Merlin Entertainment’s network and internet. CCS developed a new antenna system for the project, giving uniform 360 degree coverage when it rotated around the wheel. The CCS SON algorithm detects the best possible configuration whilst managing self-interference, and the CCS nodes leverage the internal proprietary sync mode to distribute stable GPS to the other moving nodes. Based on its unique self-organising multipoint-to-multipoint (MPtMP) architecture, Metnet is quick to deploy, easy to scale, and offers high capacity and low latency coupled with high availability and resilience, robust synchronisation and lowest total cost of ownership. Metnet units are small and discreet making them suitable for urban deployment. Click here to know more.